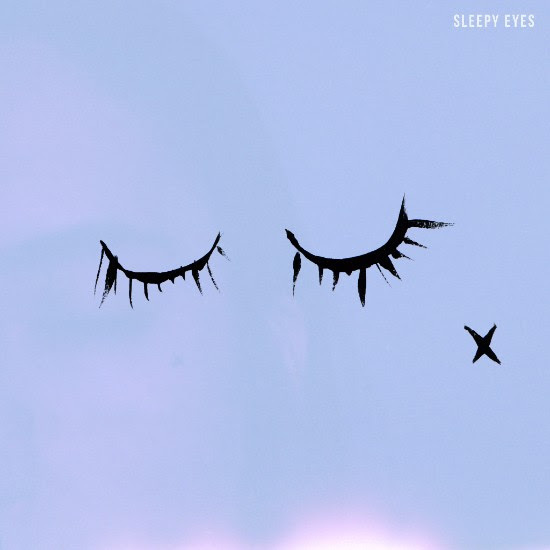 Elohim & Whethan collaborate on new single “Sleepy Eyes” – out now! Los Angeles artist/producer Elohim has released a brand new collaboration with Chicago-bred/newly LA-based producer Whethan titled “Sleepy Eyes.” Listen now HERE and watch the lyric video now HERE. The release comes fresh off an exciting couple weeks including a mesmerizing Los Angeles headline at the Hammer Museum, which LA Weekly previewed with a stunning in-depth profile feature HERE. Last week also saw Passion Pit release a brilliant cover of Elohim’s “All That Gold” (listen HERE), of which Elohim quickly responded with her own breathtaking cover of Passion Pit’s “Hideaway” (listen HERE). Today’s news is only a precursor for big things to come this year including a Fall 2017 U.S. direct support tour with Australian artist Alison Wonderland. The nationwide tour will run alongside a series of festival plays slated at Lollapalooza, Moonrise, and CRSSD. Elohim has already played for tens of thousands across major festivals this year including sets at Coachella, Middlelands, Skyline Festival, Summer Camp, Lightning in a Bottle, and Firefly. More info on Whethan HERE. Elohim recently released single “Skinny Legs” alongside an arresting Megan Park-directed official video HERE. Released via B3SCI Records, “Skinny Legs” debuted with Zane Lowe on Beats 1 (Apple Music) and is a bold testament to Elohim’s fast upward momentum, showcasing some of her most confident and audacious production work to-date. “Skinny Legs” followed a recent collaboration with Chicago duo Louis The Child titled “Love Is Alive (ft. Elohim).” The Ultra Music release featured Elohim as a co-producer, co-writer, and featured vocalist. More info on Whethan HERE. Late 2016 was marked by the release of “Hallucinating,” which Wonderland Magazine coined “Mariachi meets new-wave” and whose official video, also directed by Megan Park, brims with stellar cinematography and vibrant color palettes. Elohim’s self-titled debut EP was also released last year via B3SCI Records, available now on limited edition CD and gatefold 12″ vinyl. EP lead single “Sensations” notched another Spotify ‘New Music Friday’ add and EP track “Guts” debuted on Beats 1. A classically-trained pianist, Elohim first debuted with “She Talks Too Much” and “Xanax,” which saw a release as a 12″ via B3SCI Records. Elohim followed with a second 12″ via B3SCI featuring the exuberant “Bridge and the Wall” and elegantly emotive “Pigments,” which was released alongside a NERDIST–approved interactive video. Elohim has also forged notable rap/hip-hop collaborations, dropping tracks with former Odd Future member Casey Veggies on track “All That Gold” (of which she remixed herself) and a Darnell Williams single alongside Denzel Curry. Moving full speed ahead, look out for more to come from Elohim late 2017 as things are most certainly not slowing down.